Kamdhenu Expeller Industries (KEI) offers a range of good quality Besan Plants having efficient and excellent Commercial Viability, both for Indian and International markets. The Besan Plants are simple in design and serve the varying needs of the end users without much complexity. Since, the last two decades “KEI” has been successful in catering to the varied demands of all its esteem customers around the globe, in a very professional and skillful manner. The Kamdhenu Besan Plants are efficient in dry dal grinding for obtaining besan and are suitable for Medium and Small Scale Industries, Gruh Udyog, Self Help Groups etc. Kamdhenu Expeller Industries (KEI) offers good quality Mini Besan Plant having efficient and excellent Commercial Viability, both for Indian and International markets. The Mini Besan Plant is simple in design and serves the varying needs of the end users without much complexity. Since, the last two decades “KEI” has been successful in catering to the varied demands of all its esteem customers around the globe, in a very professional and skillful manner. The Kamdhenu Besan Plants are efficient in dry dal grinding for obtaining besan and are suitable for Medium and Small Scale Industries, Gruh Udyog, Self Help Groups etc. The Mini Besan Plant can be used in any country. For more details, please drop in an inquiry, with your full name, complete address and contact information. Kamdhenu Expeller Industries (KEI) offers good quality Super Besan Plant having efficient and excellent Commercial Viability, both for Indian and International markets. 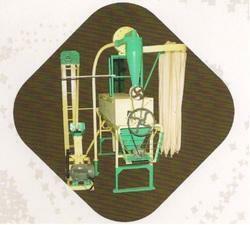 The Super Besan Plant is simple in design and serves the varying needs of the end users without much complexity. Since, the last two decades “KEI” has been successful in catering to the varied demands of all its esteem customers around the globe, in a very professional and skillful manner. The Kamdhenu Super Besan Plant is efficient in dry dal grinding for obtaining besan and are suitable for Medium and Small Scale Industries, Gruh Udyog, Self Help Groups etc. The Super Besan Plant can be used in any country. For more details, please drop in an inquiry, with your full name, complete address and contact information.